This photo was found by the new owners in the renovation of the Petaluma Hotel and shared by them yesterday. This photo of an indian (or man dressed in indian garb) and a woman holding a basket of eggs was taking in the atrium of the hotel. We thought you would enjoy it. With the addition of Bill Hammerman to our contributor staff we added a column call “Our Favorite River Town” you will be seeing more posts about Petaluma history. We wanted to share a little known secret – On our Categories Drop Down tab locate on our sidebar you can see the many categories to choose from. One tab is History and things like this photo will show up in that category. Try it yourself. 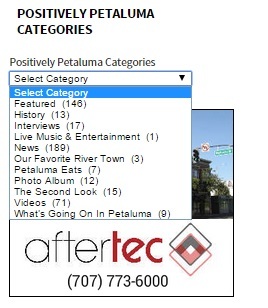 We have over 200 posts on Positively Petaluma and they are all categorized to help you find information you want to read about on posts future and past. Check out our History category if you are interested in our posts sharing Petaluma History.